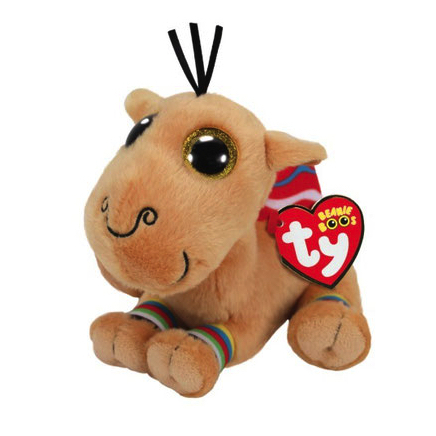 Jamal is a tan coloured camel with large, glittery gold button eyes and a black embroidered mouth and nostrils. He has a red saddle on his back with a multicoloured design on it. and he has multicoloured stripes on his legs. He also has multicoloured tassels for his tail and he has three hairs on top of his head. Take a ride on my hump and travel for free. Jamal was released in September 2018. His Birthday is on 2nd December. Jamal is exclusive to the United Arab Emirates (UAE).